David Reyes was pleasant, professional and thorough. Working with David, Scott and the team was a positive purchasing experience. 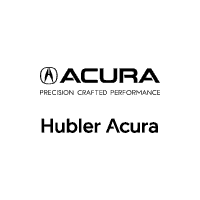 Service is efficient and pleasant at Hubler Acura. Very quick and efficient service! I was in and out during a busy weekday in under an hour! Absolutely thrilled with my car, and with my experience. David Reyes was my salesperson. He took time to answer all my questions, and to show me all my options. There was never any pressure, all collaboration. Between David, Sean, and Nora they made this the easiest auto purchase I've ever made. Leased a TLX with Hubler, had my search narrowed to three vehicles but once I was at Acura in person and in my TLX I knew nothing compared! David Reyes was an exceptional sales person who I trusted implicitly. Sean was fantastic to work with as well and got the deal done for me! I’ve been a loyal Acura owner for two vehicles now but their service makes it hard to look anywhere else! Thanks for the continued great work! A+ all around.